Within easy reach of the desk that I write from is a tenor ukulele. Although I don't play it nearly as much as I should, it's there, always within reach whenever I get the urge to strum away. I remember telling my dad that I was going to get a ukulele because I wanted to learn how to play Israel Kamakawiwoʻole's timeless "Somewhere Over the Rainbow/What A Wonderful World" medley. He laughed and didn't think much of it. The next time I saw him I pulled out my ukulele and did my best Kamakawiwoʻole impression; well, the best a haole like myself can. I don't think it was a coincidence that I was inspired by a 700 pound Hawaiian man to play a ukulele. The ukulele is the perfect "get-away" instrument, just as Hawaii for generations has been the epitome of get-away. Today's destination is the music of Hawaii, music that reflects this ideal. 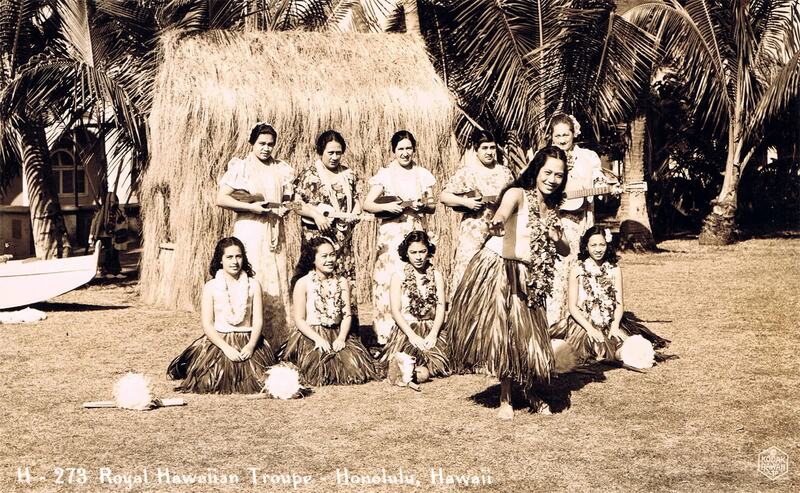 Hawaii's isolation has allowed the islands to develop their own musical sound. This sound, like Hawaii, is a mix of influences; in this includes Polynesian instruments, mellow beach living, and a fierce sense of local pride. I had a great time researching these jams and got a real appreciation for their musical styles and genres like the slack-key guitar, Jawaiian (Hawaiian reggae), and traditional Hawaiian folk music. Check out the playlist below to get a small taste of the many musical sounds of the islands.